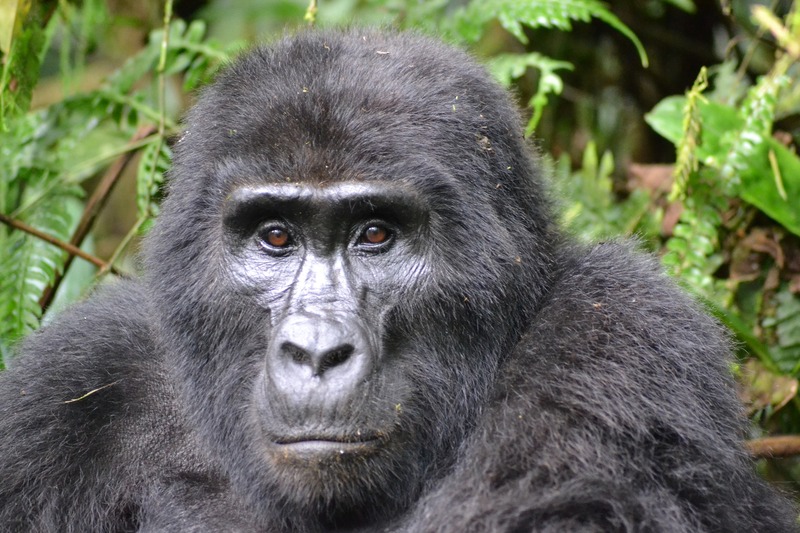 Gorilla tours have become very popular over the last decade in certain parts of Africa. These animals live in the rainforests of Bwindi in Uganda, the Virunga National Park in Congo and the Volcanoes National Park in Rwanda. With the help of trackers, you can follow gorillas in their natural habitat. There are two options available for travelers interested in a gorilla trekking tour: the gorilla habituation experience or the normal gorilla trekking. Here’s everything you need to know about both. Gorilla habituation is the process of getting gorillas used to human presence around them. The process can take between 2 to 3 years. The gorilla habituation experience is a new option available to primate lovers only in Bwindi Impenetrable Forest National Park. It is a longer and more detailed experience and is highly recommended for those who have already tracked habituated gorillas before during the standard gorilla trekking. You get to visit the primates for four hours and get involved in the process of habituating them. Only four tourists are allowed to take part in the gorilla habituation process alongside a team of trackers, researchers, rangers, and conservationists. During the gorilla habituation experience, you may be offered a chance to name the individual gorillas in the group. You can be part of one of the groups of 4 people that visit the gorillas each day. Make sure you book your spot in advance (at least 6 months before the time you want to visit) because the activity is very popular. 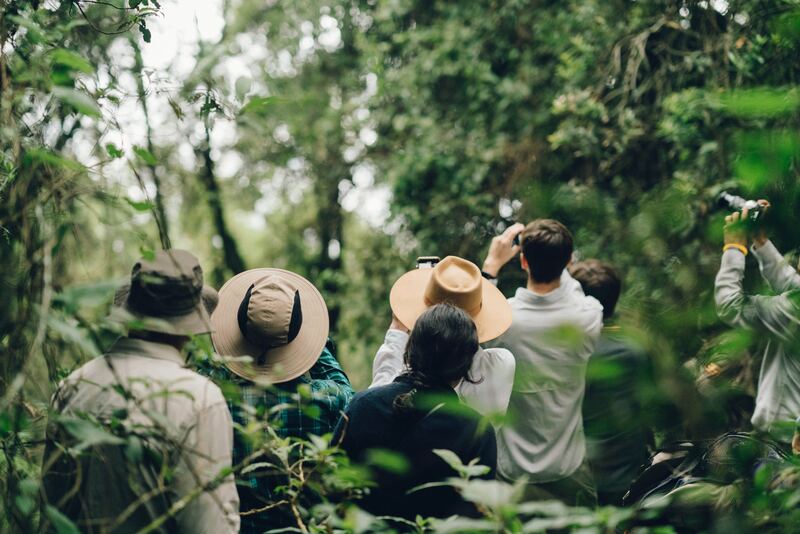 The gorilla habituation experience is open to tourists throughout the year but visiting during the dry season, between the months of December and March, and July to October is highly recommended. 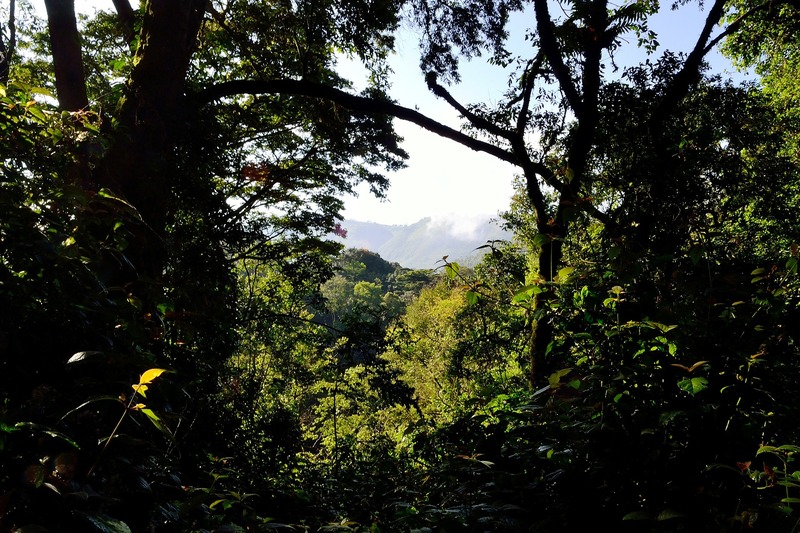 The normal gorilla trekking is amazing, too. In-fact, it is what 90% of tourists do. 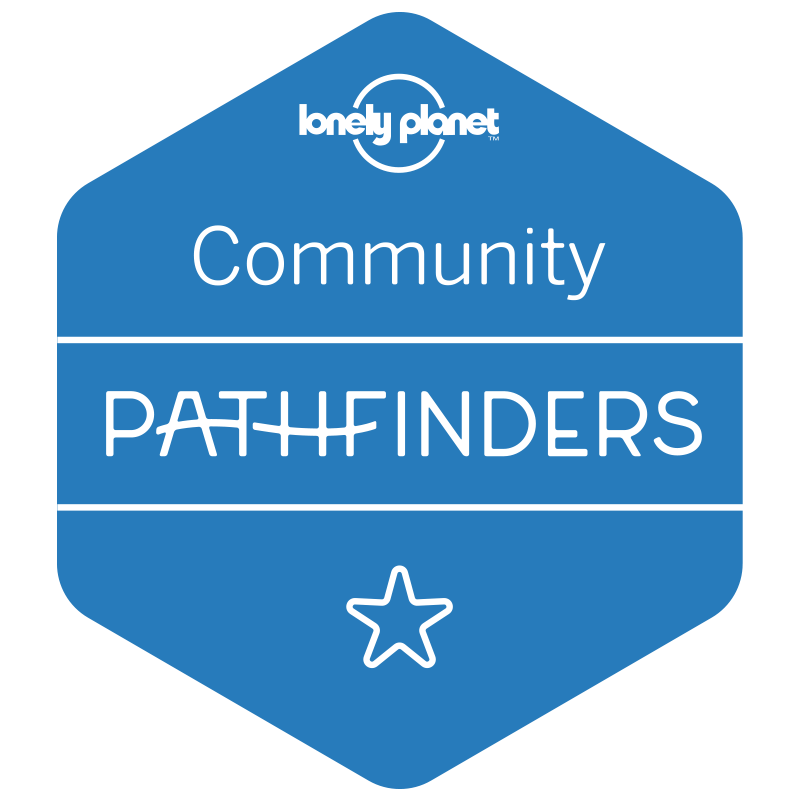 You have to climb up the mountains with a group of expert trackers to find a habituated gorilla family. Once you find them, you need to keep your distance and observe them. You can take pictures of these majestic animals in the wild, enjoying their meals or resting. Though it is a great experience, you only have one hour with the gorillas, whereas the habituation experience lasts 4. If you want to do any of the two, gorilla habituation experience or trekking, you need to buy permits. These are on high demand, for gorilla trekking only 8 per group per day, and for the habituation experience only 4. 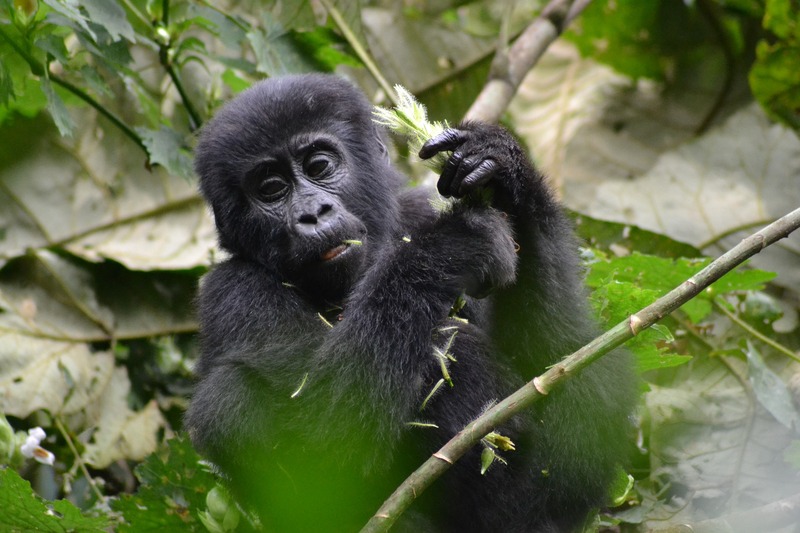 So make sure you buy your gorilla permit in advance through your tour operator or directly from the wildlife authorizes in the three gorilla trekking countries. The cost of a gorilla permit may vary if you buy them in Congo, Rwanda or Uganda. The price of a gorilla permit in Congo is 450 USD per person. 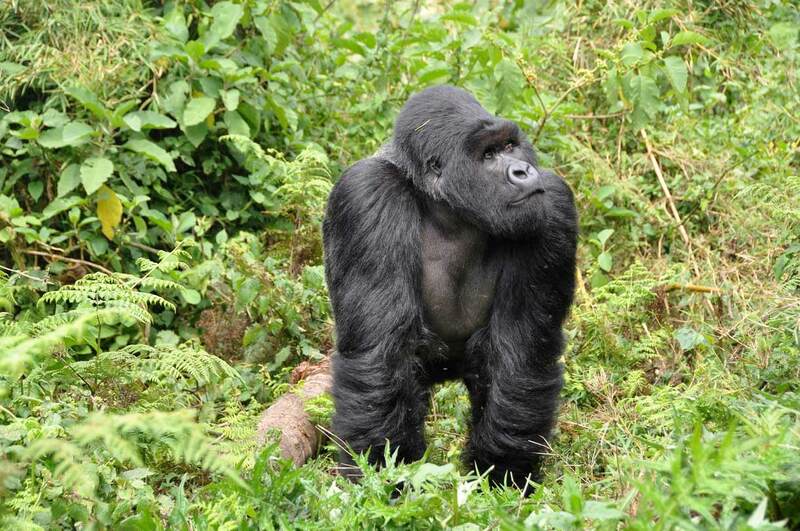 In Uganda a gorilla permit costs 600 USD while in Rwanda a permit costs 1500 USD. The gorilla habituation experience in Uganda’s Bwindi Impenetrable forest costs 1500 USD per person. These permits are necessary for the government to keep track of the number of people that visit the park. To buy one you should be over the age of 15. As already stated before, it’s also possible to get permits through a travel agency who will get it from the park authorities on your behalf. It is important to note that the prices indicated above are only for the permits. You still need to plan for your VISA, yellow fever vaccinations, transport and accommodation. This is where a tour company comes into play. They can help organize the whole tour on your behalf leaving you with the task of only showing up. When you consider accommodation, transport and VISAs, a gorilla tour can cost between 1,000 to 3,000 US Dollars. You can go on gorilla tours any time of the year. Yet, the best time to do it is between the months of December and March, and between June and December. The days are sunnier and warmer too. If you are looking for discounts and cheaper hotel prices, you can go during the rainy seasons. The weather conditions are very unstable in the rainforest, so you may get a sunny and rainy day. When visiting the gorillas, you can take photos but without flash as it may scare the gorillas or upset them. You should know that the vegetation is very thick and the animals are always moving. So you may not have time to change lenses. Bring short to medium lenses. Make sure you leave your bag at least 100 meters away from the gorillas and bring only your camera with you. For a gorilla tour, you should carry only a small bag with the necessary stuff: water, food, and a camera. Everything you bring with you should be light, as you will have to carry it on your back the whole tour. There are only a few things you can eat, like energy bars. And, of course, you should keep the food away from the gorillas. As the temperature may vary during the day, you need to prepare yourself. It is advisable to wear comfortable shoes that are waterproof and light. Wear long-sleeved t-shirts and trousers to avoid getting stung by ants and mosquitoes. An insect repellent will help with that matter, too. And remember to put on sunscreen as the sun can hurt your skin. Remember to stay hydrated at all times and bring an energy snack for the rest stops. If you don’t want to carry these things, you can hire a porter to do it for you and also to help you along the tour. Authorities encourage visitors to follow a set of strict rules. To prevent any transmission of disease to the gorillas, visitors have to maintain a distance of at least 22 feet from them. If you think you may have any contagious disease, like the flu, please inform the park authorities. Don’t spit, cough, or sneeze near the animals. Respect the amount of time per group and always listen to the tracker. You should never make sudden movements or loud noises, as the animals may get scared. And, please, do not litter! The park is their habitat and it should be clean. If you are the adventurer type, you should definitely go on a gorilla tour! Both the habituation experience and the gorilla trekking are marvelous opportunities to spend time near man’s closest relatives. You can observe their daily lives and even learn to identify them. 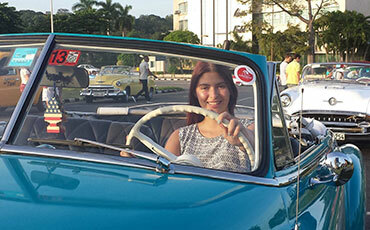 Plenty of travel agencies offer these tours, so make sure you choose a good one. Enjoy your gorilla experience! Disclaimer: This post has been written in collaboration with Mission Africa Safaris. This seems like a really interesting trek to take! I think it would be such a fun to see the gorillas and experience the wild terrain. This would be an amazing tour to take. To see the animals up close is so cool. This would be so neat to try out. I would love to see gorillas up close and watch them go about their day. I would be sure to follow the rules! Our ancestors a piece of our history in nature to follow, appreciate and learn! This sounds like such an interesting place to go and explore. I am glad they have some rules in place to help protect the gorillas (and humans). I would love to go visit the gorillas. It has to be a great experience. What an amazing experience! Surely a once-in-a-lifetime! While expensive, I am glad it is, so those beautiful animals can be protected and sustained! This is absolutely amazing. I would love to take a tour like this sometime. wow this would be a really interesting place to visit someday- ive always wanted to see gorillas in person in the wildlife! AWHHHH I would love to do this and visit those gorillas!!! My youngest daughter would love this. She loves animals. It sounds like an amazing experience but is it the best thing to do for these gorillas? I am just worried about their future safety from humans as well as any associated health risks of them catching an illness from humans or vice versa. Wow, it sounds like an amazing cool trip. Worth trying once. And it’s good that strict rules are being followed for safety. My son loves going to the zoo when he was a kid and I’m not sure if he will enjoy this too. I do hope they are taking good care of these Gorillas. Wow, I have never heard or read about Gorilla Habituation. It sounds like a good idea to reunite animals with humans. Thanks for sharing. How cool, this sounds like an amazing trip. The rules are really strict but I assume for safety reasons. That would just blow my mind. This is something I have always wanted to do since I was a kid. 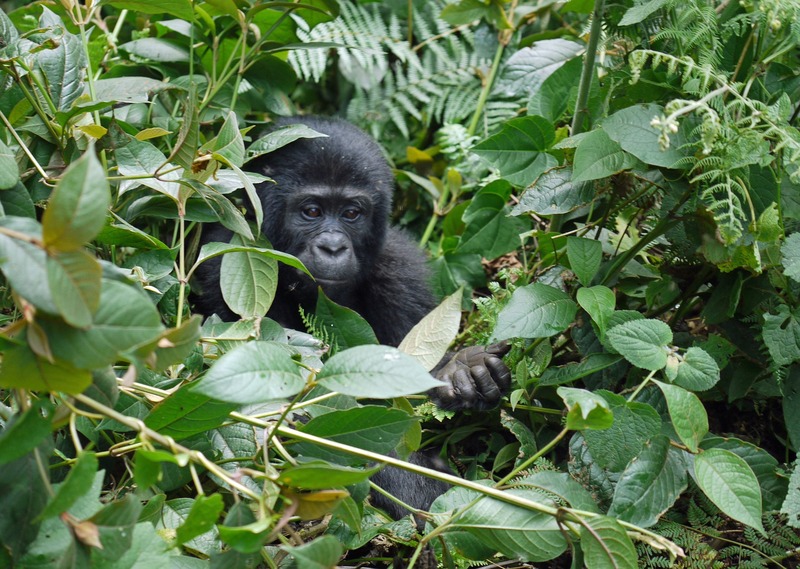 I like hiking & trekking tours…a gorilla trekking tour sounds a notch more exciting. Very handy tips about what to pack & which photoography gear to carry. OMG! I did not know this was a thing! This is going straight onto my bucket list! Having to interact with them are awesome. It just excites me by just looking at the pictures. I cannot wait to pay a visit. I have done many a jungle safaris in India but never spotted a gorilla. Hope I can do a safari totally dedicated to Gorillas. They are so adorable. Your pics are rocking. aww these little babies are so stinking cute! not sure I would do this but I loved reading the info! This looks like such an awesome thing to do! This is great information. Gorillas are so neat to see and it would be great to see them in their natural habitat. Wow, this would definitely be a once in a lifetime experience. I can’t imagine what it would be like to see them in their natural environment. I will have to show this to my daughter. She would absolutely love this. I can only imagine how incredible an experience it would be to see them in their natural habitat. Wow, this is an amazing tour. I never see myself touring just to see a Gorilla but looks like a fun adventure. This sounds like such an amazing experience to have. I love the fact that gorilla tours are open all year around! O.M.G. I totally want to go on a Gorilla tour, what an amazing experience. I love visiting animal sanctuaries of any kind, and knowing I could go and see gorillas in their natural environment is such a happy thought! Thanks for sharing, I had no idea you could do this!